From a small seed to a giant display, SMU’s famous Christmas tree takes a long journey each year before the lights go on at the Celebration of Lights ceremony in December. 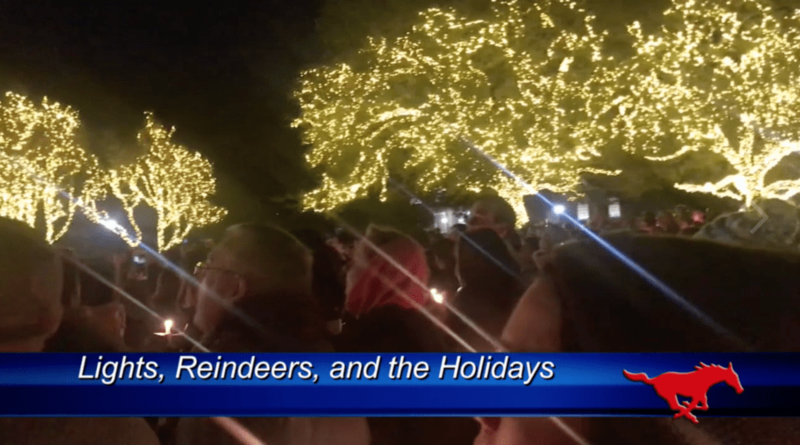 “There are a lot of things that go into planning the Celebration of Lights, but the tree is always the centerpiece of the celebration,” said SMU’s Student Foundation Campus Events Chair Kaci Rood. 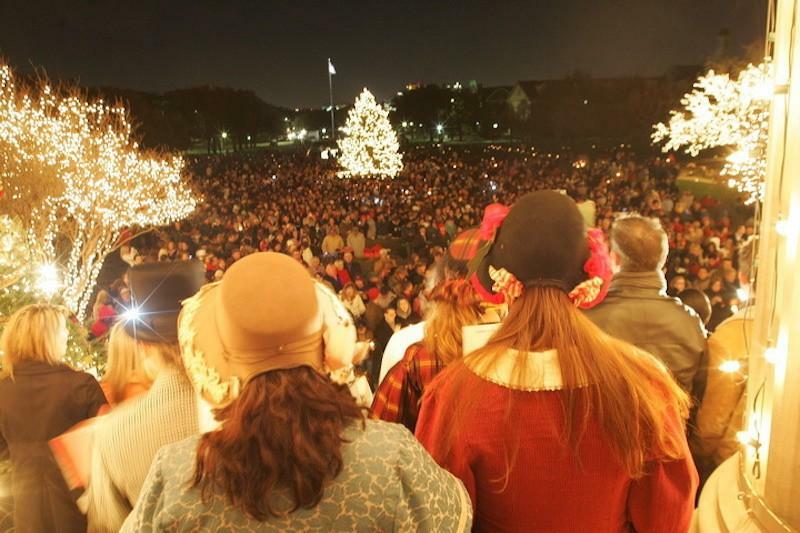 The tree is mounted each year on the Dallas Hall lawn, and becomes the centerpiece of a large pre-winter break celebration. But before the tree makes its way to the center of the Boulevard, it crosses many state borders and undergoes much inspection. 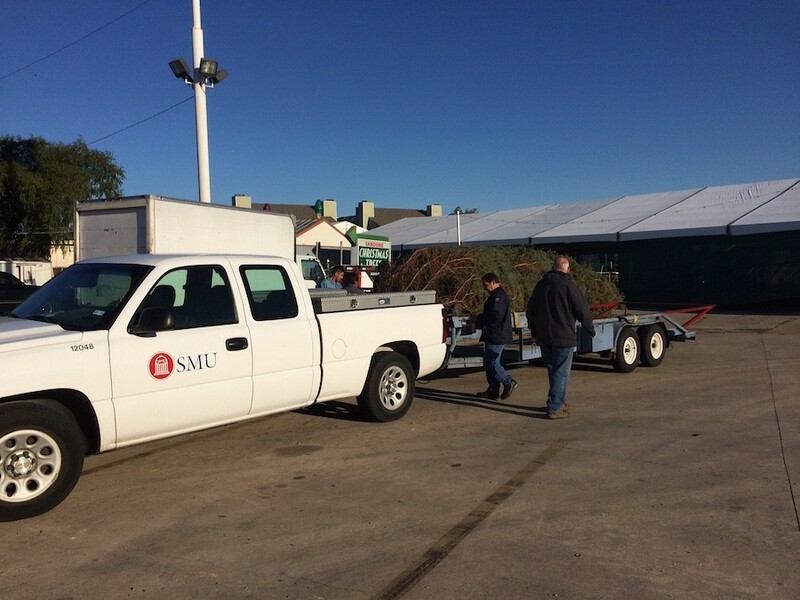 Each year around the same time, Ann Allen, SMU’s senior grounds manager, gets a call from Tony Sandone, the owner of a local Christmas tree lot that handles several large tree orders. From there, Sandone takes a drive to Michigan to pick out the perfect tree for the Mustangs. 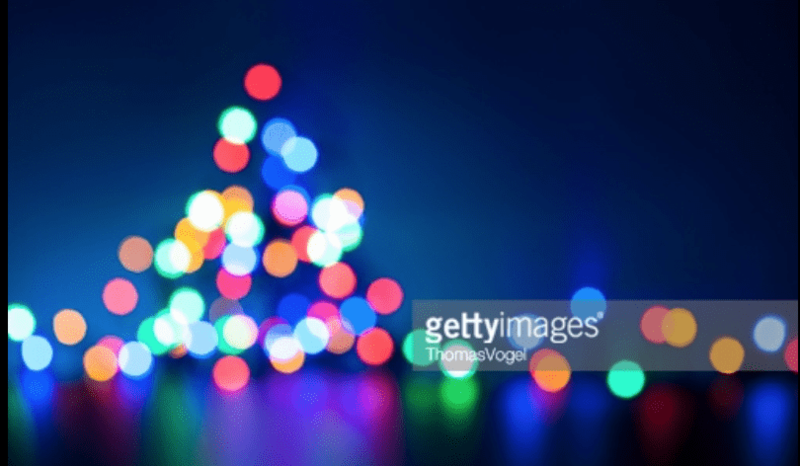 “Our biggest issue is making sure that the tree doesn’t have any holes in it, so Tony sends us over pictures of the tree for approval,” said Allen. But it’s not just any tree. “The tree is a 30-foot Colorado Blue Spruce from Michigan. It was planted in 1984,” said Sandone in an email to Allen. That’s right – SMU’s Christmas tree is not only more than twice the height of the average student, it’s also considerably older than the average undergrad. The magic behind the tree doesn’t stop there. The people that pick, ship, and assemble the tree have been doing so for several years. “Brian Martin, who is our lead irrigator, kind of leads the project. But then we have a carpenter that has to wedge the wood to stabilize the tree, and then there’s another guy that has to be raised up to cut the rope that the tree’s bundled in,” said Allen. After the tree is “de-bundled,” the crew has to wait another 48 hours for it to get its natural shape. Once the branches drop, Outdoor Reflections, a lighting company, comes in to wrap the tree in lights for the festivities. That’s when the lights go on at the Celebration of Lights ceremony. 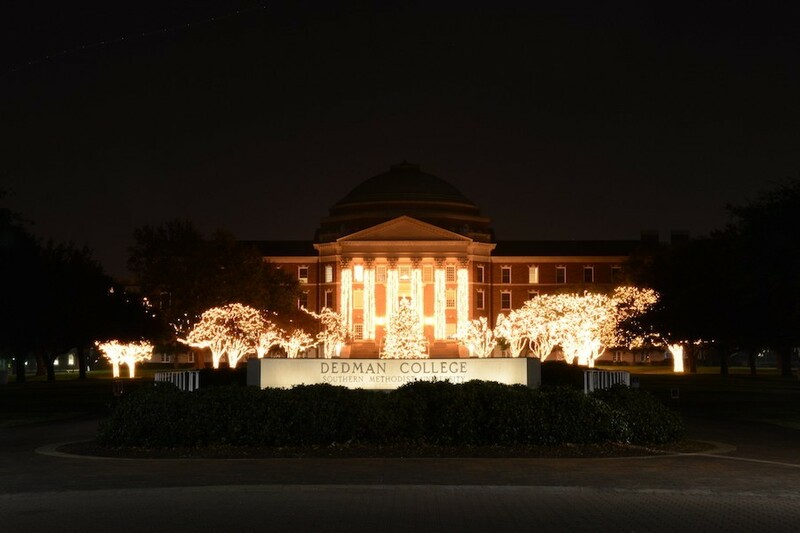 From the Christmas caroling to the hot cocoa and live performances, the ceremony brings holiday cheer to even the biggest Grinch on campus. “This was my third celebration of lights and I was just as amazed as the first time I saw it as a freshman. Student Foundation did a wonderful job making the centennial celebration that much more special for everyone who attended,” said SMU junior Kim Kooker. The tree stays up until early January each year until the same crew comes in to take it down. But a little known secret still remains: the hole where the tree is placed each year isn’t patched up, but rather covered with a metal lid. 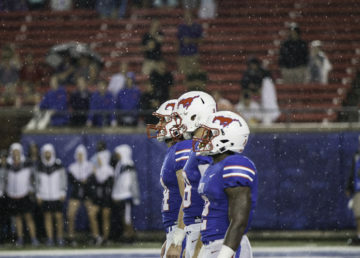 never leaves SMU,” said Allen.